Ladies, listen up! 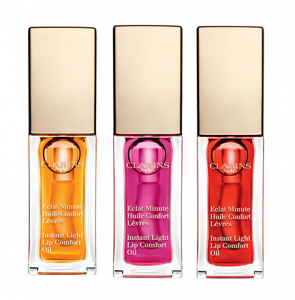 Here’s how you can get FREE Clarins Mini Instant Light Lip Comfort Oil!! You can pamper your lips without paying a dime – here’s how: fill out the form with your name and address information, then hit the big red Enter button at the bottom. They’ll send the sample right to you! You’ll want to hurry, because there are only 5,000 available! There are 2,500 in Candy and 2,500 in Mint – an $11 value! !